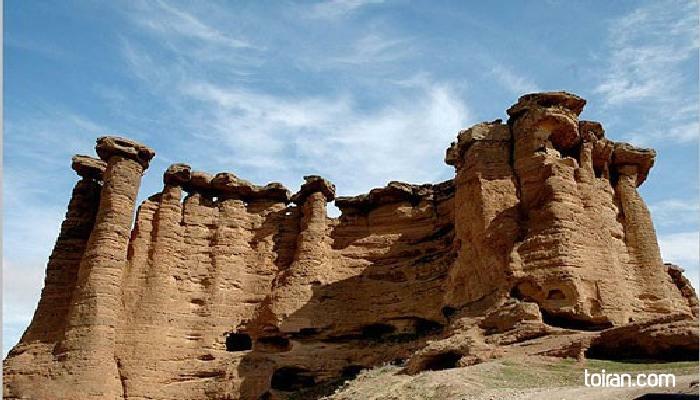 The Jinn Chimney or tent rocks are a natural attraction located 110 kilometers from Zanjan before Behestan Castle. 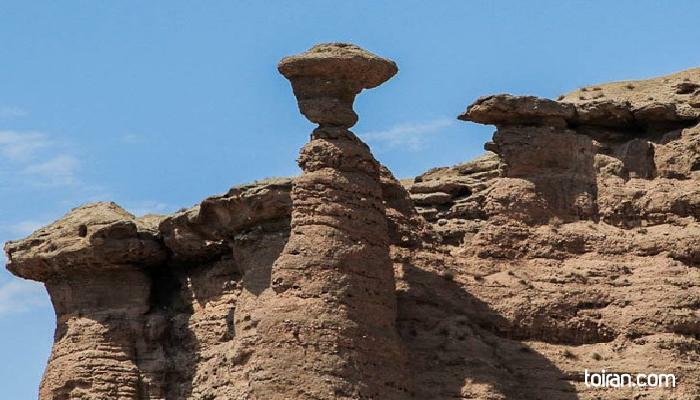 This chimney is a long column of compressed clay created over time by wind erosion. A stone slab sits atop this column of stone, giving it the appearance of a chimney. Locals call this natural phenomenon Jinn’s Chimney, as in popular belief anything difficult to create by ordinary men was considered to be the work of the Jinn. This is why locals call Behestan Castle, Demon’s Throne.